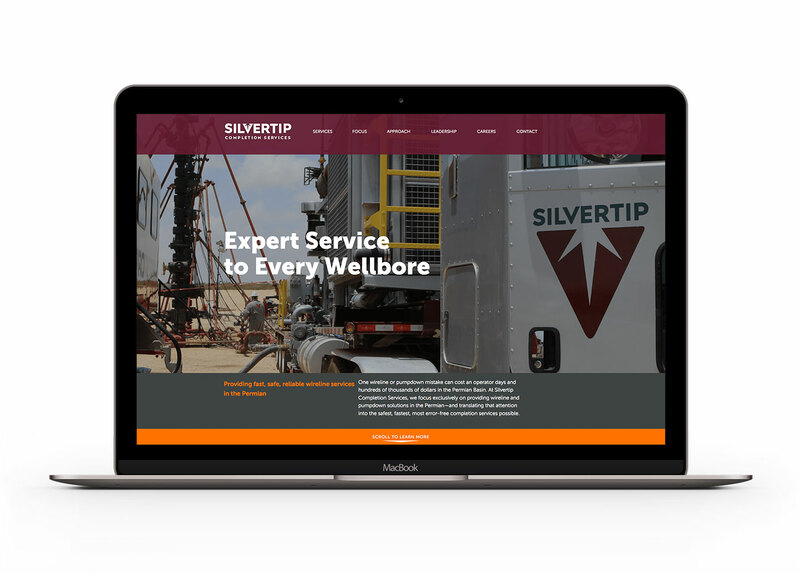 Silvertip is an oilfield service company in the booming Permian Basin. This private equity-backed startup focuses on completing wells to prepare them for production. Like other startups, Silvertip needed to quickly prove itself as a trustworthy service provider. The difference here was the level of perceived risk. Developing a well is a multimillion-dollar proposition, so winning a service contract means meeting a rigorous set of requirements. Silvertip also faced fierce competition for skilled labor—all too scarce in the Permian as activity ramped back up after an industry downturn. 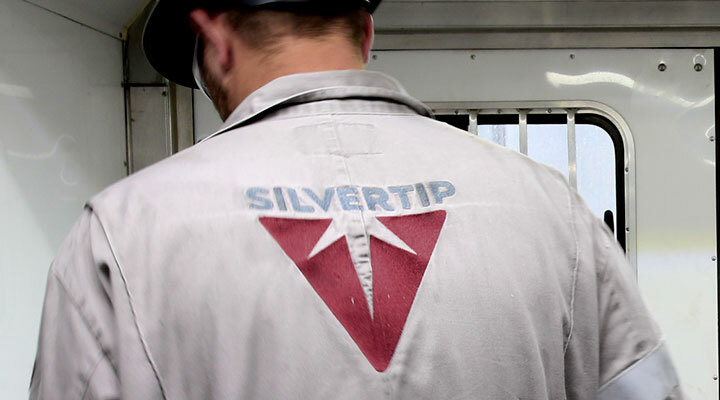 Silvertip needed to build its brand from the ground up, with success hinging on the company’s ability to connect with both prospects and potential employees. SPINE designed the logo to be easily applied across Silvertip’s fleet of equipment and personal gear. 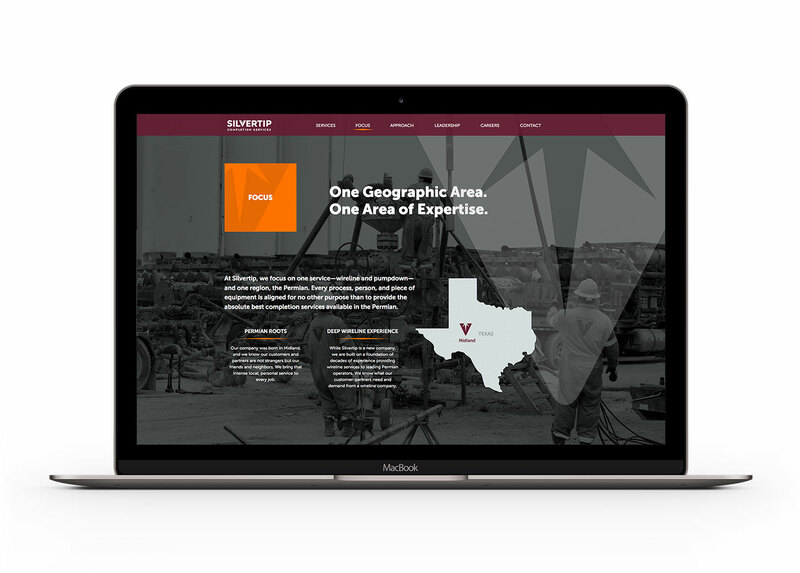 From the “V” in the name, we created a strong symbol that spoke to the company’s downhole expertise. 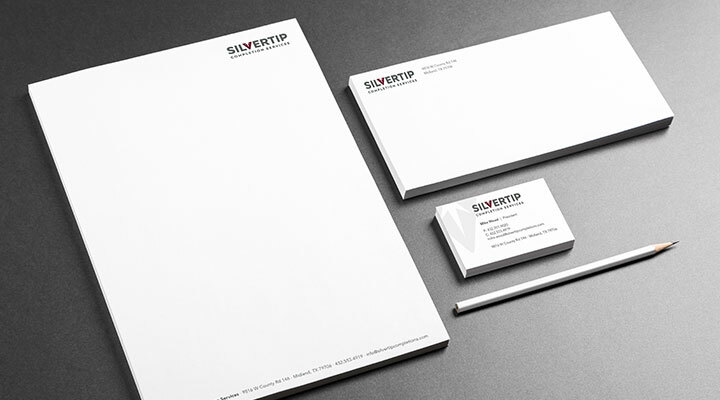 The symbol also provided a dynamic standalone element that would play an important role in Silvertip’s branding system. Consistent presentation conveys professionalism and builds trust. 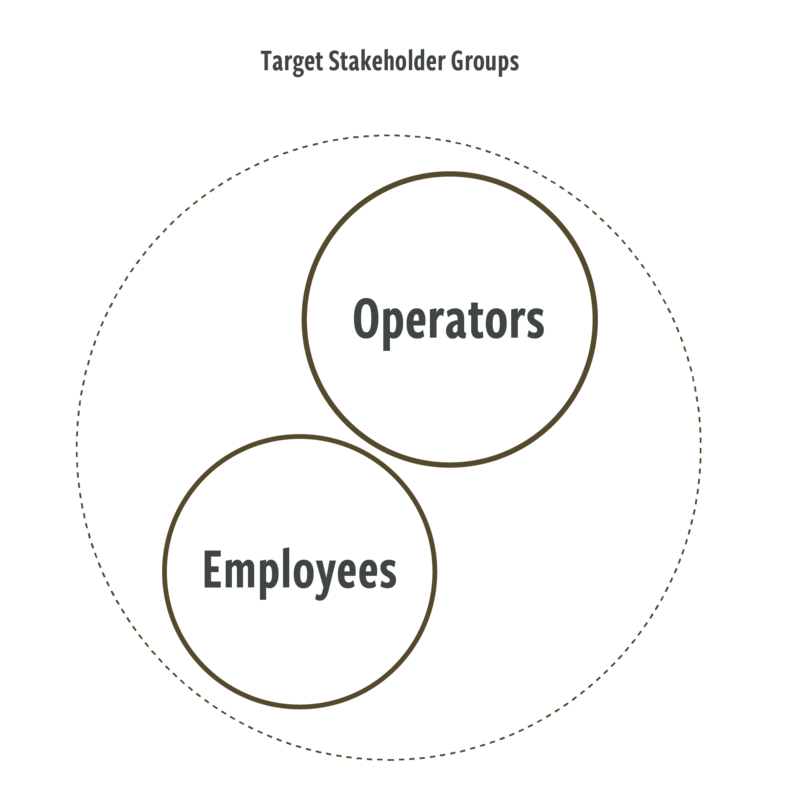 Both qualities are essential in the oilfield, as there is far too much at stake for oil and gas producers to work with just any service provider. 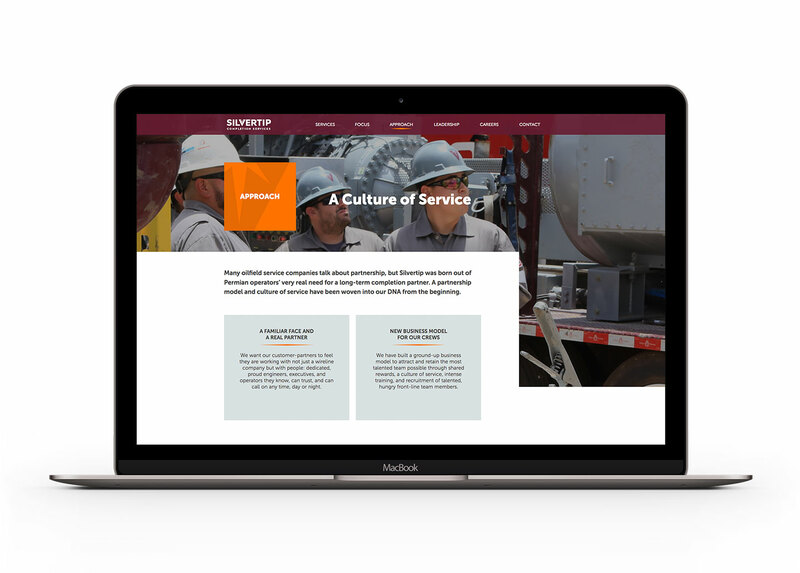 SPINE helped Silvertip communicate its brand consistently across touchpoints, from the website to the company’s fleet of massive wireline trucks. Demand for completion services is high in the Permian. However, capitalizing on that opportunity requires sufficient staffing, and the basin’s shortage of skilled labor has been well documented. Silvertip offers an innovative benefits package to attract and retain employees. SPINE supported the recruiting effort by helping Silvertip present itself in an exciting and professional way, so crews would be proud to wear the uniform and represent the brand. From a technology standpoint, the website needed to be mobile-friendly since many of Silvertip’s potential recruits spend their days in the field, not behind desks.